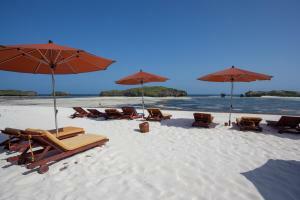 Watamu is a small town common for its great beach resorts in the Indian Ocean coast of Kenya. The name ‘Watamu’ means ‘sweet people’ in Swahili. The name came from how the Arab slave traders used to entice the local people with sweets before taking them as slaves. The main activity in this area is tourism and fishing. The area is occupied by many beach resorts each trying to outdo the other by showcasing the best hospitality for the visiting tourists. You can access the place via air from the main airport in Nairobi to Mombasa, then drive for 90 minutes through the great coastal scenery. The Watamu Marine National Park which is home to unique coral gardens and a breeding ground for the green turtle is a main attraction here. You get to participate in a turtle watch initiative, where you help baby turtles and as well as big turtles caught in fishermen’ nets down to the beach. Other activities include; snookering or glass-bottomed boat rides as you watch marine life down below including dolphins. Below are the best accommodation resorts I would recommend to anyone who wants a Kenyan beach holiday based on people’s reviews. Medina Palms has great architectural design complete with a garden, wide outdoor pool that is never crowded and sun lounges that offer a good view of the Indian Ocean and free WIFI. There is also a roof-top restaurant offering exquisite dinning while viewing Tsavo National Park at a distance. They also have other activities which include a spa, fitness center and kids club. You can also undertake other outdoor activities within the area that include scuba diving, dhow cruises, safari excursions etc. The resort offers luxury villas from one bedroom to 4 bedrooms complete with a living room and kitchen. The villas have great view of the stretched garden and are air-conditioned with satellite TV. Some suites even have a hot tub. This luxurious resort is marked as trip advisor’s 2018 travelers choice and always gets good reviews from their guests year after year. The recently renovated Hemingways lies in the beach front of Watamu. 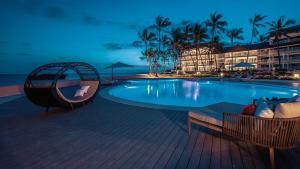 The resort has two pools, a spa, wellness center and a tennis court that is free to use. The rooms have modern furnished interiors with bright colors and offer a good view of the ocean. They are also air-conditioned to help you deal with the coastal heat as well as free WiFi. The onsite restaurant is always open for breakfast, lunch and dinner specializing in sea food. 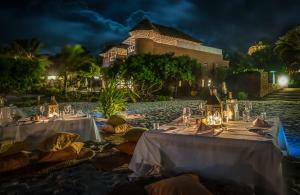 Most guests in the resort praise it for its great serenity and offers maximum relaxation with great view of the ocean. Other activities you can undertake include; snorkeling, fishing and bird watching. The resort is set up in a private beach. The hotel has three outdoor pools and a lush garden offering great ocean view. The rooms are well fitted with a balcony overlooking the ocean for those lazy mornings. Apart from swimming in the different pools, you can also enjoy table tennis, darts and at times an organized beach volley ball with other guests. Children also have their own outdoor play area. Some other activities include field excursion in the nearby snake farm and beach excursion during low tides. Guest have termed this resort as excellent for couples who love alone time with minimal disturbance or interactions. The resort is located at the heart of Watamu Marine Park and is considered an eco-friendly hotel. However, the hotel is known to be very busy and offers a lot of entertainment all day like shows, tribal dances, disco and live bands. The place is ideal for those who love the party-life as loud music and pool parties are the order of the day. Activities in the resort include; water sports, paddy scuba diving as well as marine safaris in the national park. There is also a kids club that offer various activities for the kids. 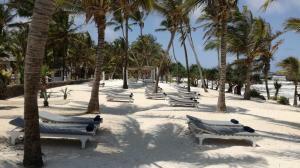 Sun Palm is located right at Watamu Beach on a private beach property with great sun loungers for its guests. 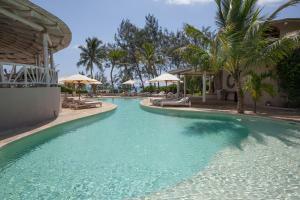 The resort is marked as one of the best-seller for Watamu in booking.com. Though the place has been accused of being too Italian to the point of forgetting you are in Kenya, they still meet the expectation of most guests who love comfort with most of their services available 24 hours. Some of the activities include diving, marine safari at Watumu Marine Park and a kids club. The resort is located in a private beach and has a beautiful tropical garden overlooking the ocean. The resort has two outdoor salty pools large enough to ensure everyone has their space and privacy. The rooms have a sitting area and a mini bar, they are air-conditioned and have satellite TV. There is a great view of the ocean and the tropical garden when relaxing in these rooms. One can arrange for a massage on request anytime of day. Activities while at the resort include; fishing, diving, snorkeling or sighting on the neighboring Watamu Marine Park or Gede ruins which is 11 km from the resort. For those who would prefer to rent a villa or cottage, this is a good choice for you. The property is 3 km from the beach and consist of 1 bedroom to 3 bedroom villas with one large swimming pool. The units have a dinning area, kitchen fitted with an oven and toaster, fridge and coffee maker. Laundry and ironing services can be arranged. There is a chef and housekeeper on site for all your special meals and cleaning services. You can also opt to hire your own chef for the duration of stay. Activities around the area include; golfing, snorkeling and visit to the snake farm. The name is Swahili for ‘house of canoes’. 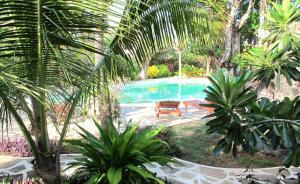 This is a five bed roomed house situated in the isolated beach of Watamu. All the bedrooms are en suit, decorated in local Swahili style. This house is ideal for a family vacation or when you vacation as a group. It can be rented on daily/weekly/monthly basis depending on your vacation details. The house has a chef, waiter, cleaner and gardener ready to attend to all residents. The chef also helps with food shopping and meal plans per your request. Activities is the place include; site seeing, fishing and dhow cruises to watch the dolphins. There is also a swimming pool on site ideal for both adults and kids or you can take a walk to the beach and enjoy a swim or excursion in the ocean during low tide. Never thought of Kenya as such a stunning beach location but it clearly is – Wow! Would love to visit and combine with a safari now kids at the age to appreciate it. Would you recommend it as a good family destination? My kids are 6 and 5. And is it a safe place to visit? And what time of year is best to visit? Thanks – definitely added to my holiday destination wish list. Yes, Kenya has a great beach along the Indian Ocean. i would suggest you start with a safari then wind up your vacation with the beach. It is very safe for kids and most beach resorts do accommodate kids and have a variety of activities for them during the day. Best time to visit is from June after the long rains are over. Wow, I think I could really see myself at any of these resorts. Are any of them for adults only? I do like the idea of being on a private beach. And who does not love the beach. Looks absolutely stunning at these places! Hi Matts, yes the resorts have one or two things you would want. If you want maximum privacy and private beach, you can opt for renting a villa that comes with a private chef and housekeeper situated on a private beach. 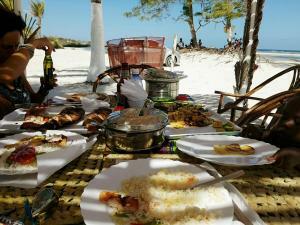 You can also check my other post on Zanzibar Destination for other options.